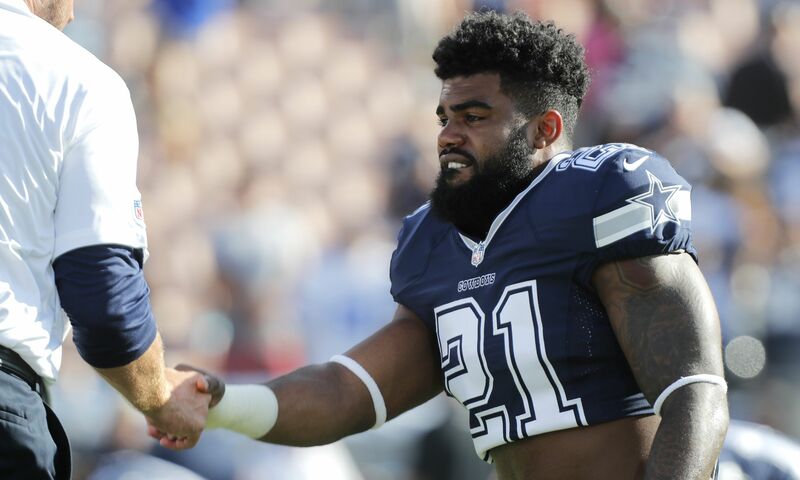 Following what was a lengthy investigation by the NFL over alleged domestic violence, Dallas Cowboys running back Ezekiel Elliott was recently hit with a six-game suspension by commissioner Roger Goodell and the NFL. Despite not having any criminal charges brought against him for the alleged crimes, the NFL concluded they had enough evidence to sit Elliott for the first six games of the season. Naturally, the next step in the process for Elliott was to file an appeal, and he had three days from the time of the ruling to do so. On Tuesday, as many had expected all weekend, Elliott and his team have done just that. Ian Rapoport of NFL Network was the first to report the filing on Tuesday. Some time in the near future, a hearing will be held where either Goodell or an arbitrator will decide to either reduce the suspension by a few games or uphold the original decision. By all accounts since the ruling was handed down to the second-year Cowboys running back, the suspension probably won’t be reduced, and if it is, it will likely only be about two games, dropping it to four. Elliott was being investigated over an alleged domestic violence incident that occurred in the spring of 2016 with an ex-girlfriend. Again, the police found that Elliott was not in the wrong in this situation, however, the NFL did their own digging and came up with a different conclusion. Right now, there is no timetable for when the hearing will take place exactly, but you could expect for it to be heard as soon as possible — especially if Jerry Jones has any say in the matter. The Cowboys open up the 2017 NFL season Sunday night, Sept. 10 on NBC against the division rival New York Giants.